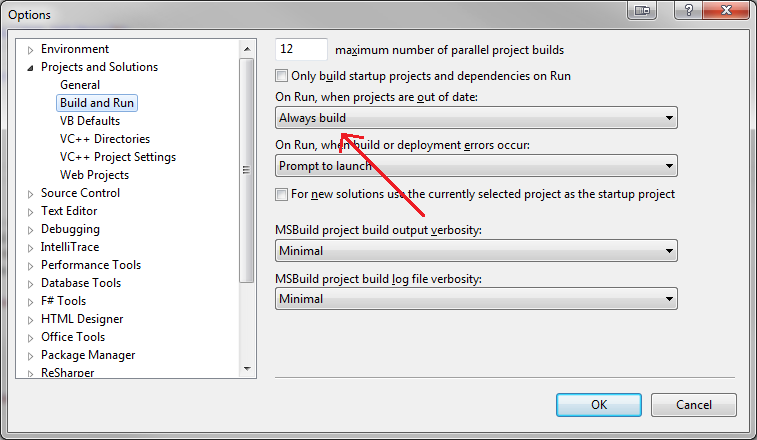 I recently started using Visual Studio 2012 but got quite annoyed after I realized that the F5 shortcut was not building the projects in my solution before actually running them. Because of this, I was ending up with inconsistencies between the running application the source code. Long story short, here's how to fix this.